I attended my first WordCamp this year. It was also a first for me to Portsmouth! Below I talk about my personal running order. Read about more sessions at WordCamp UK 2011 Portsmouth here. Kieran’s talk was about how plug-ins have an influence when upgrading WordPress. Plugins can break an upgrade, or be broken by an upgrade, deprecated functions. A solution is Custom Posts. Legacy plugins may over-use tables. Post framework makes code simpler. Migration then is simplified. 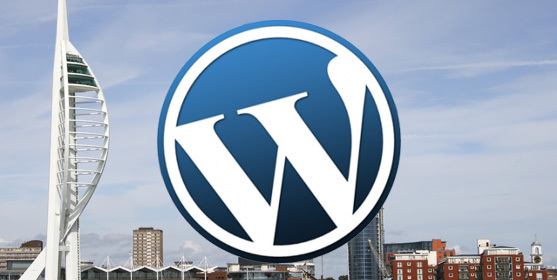 Visit Kieran O’Shea’s dedicated website for WordCamp UK 2011 Portsmouth. Where you can find loads off goodies, eg. Rachel discussed 4 ways how you can turn your website into a mobile version. Nick told a lovely SEO story of The White, black and illegal Hat in WordPress SEO. This story shared so much SEO information in a friendly way. Check out his presentation. After a well needed full English breakfast the second (and last) day of WordCamp started off with a quick introduction by Tony Scott again. Another SEO session with more handy tips..
Themergency is a handy tool to easily create post types. After registering it appears in admin bar. A Questions & Answers session with informative discussions and tips going around. Sadly all good things do come to an end. Well sort of… I noticed emails with loads of ideas going around already for 2012. And if you can not wait till then, the WordPress community do spread their wings to numerous Meetups and other smaller conferences.